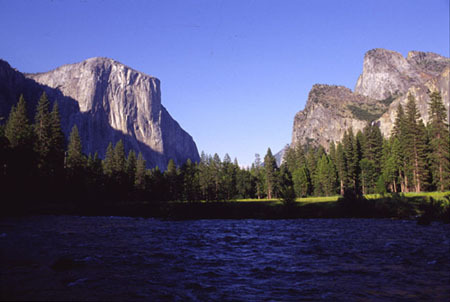 We arrived in Yosemite National Park on the evening of the 12th of July 2005 following our drive from San Francisco. 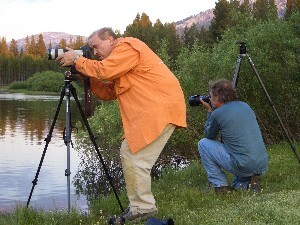 Tammay and I had arranged to take part in a 5 day photography course taken by Michael Frye (a professional photographer who lives in Yosemite Valley). 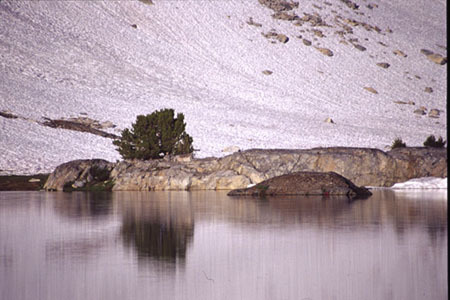 We stayed at Murphy's Hotel in Lee Vining, just a short drive from the Mono Inn where our photography course would be based. 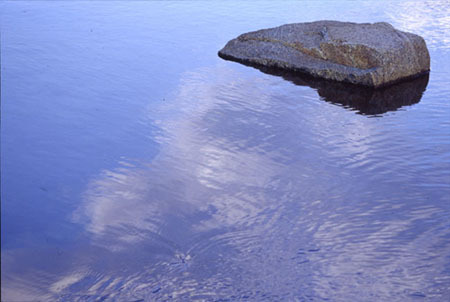 Some of my favourite frames are shown below. 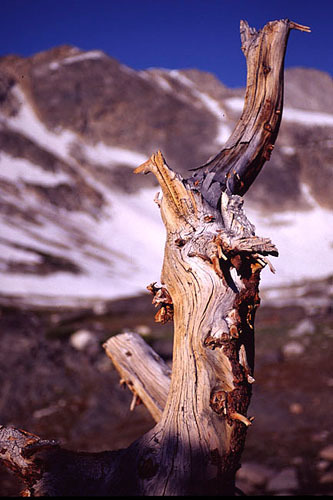 You can also see Tammay's favourite frames. 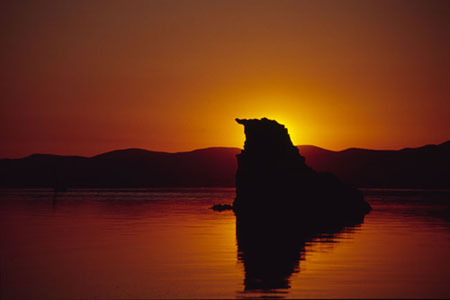 One of Mono Lake's tufa towers, back-lit by the rising sun. 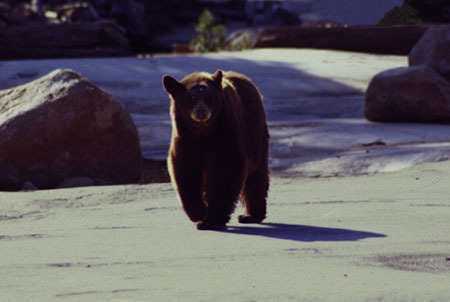 A bear that decided to join our photography course. 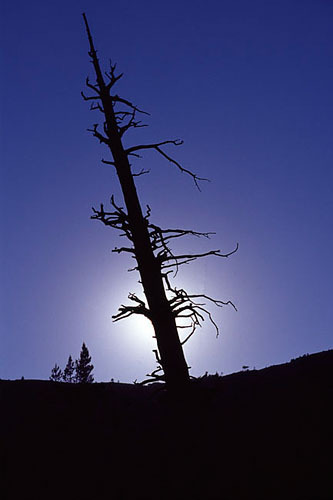 Dead tree back-lit by the setting sun. 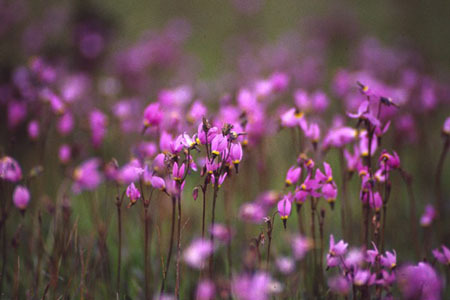 Flowers near the Tuolumne River. 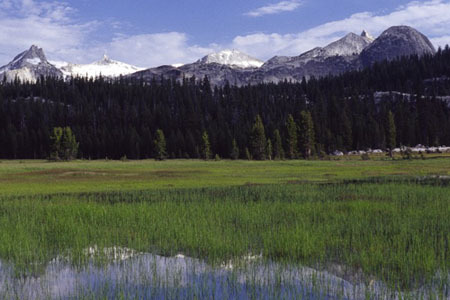 A view of Cathedral & Unicorn Peaks from near the Tuolumne River. 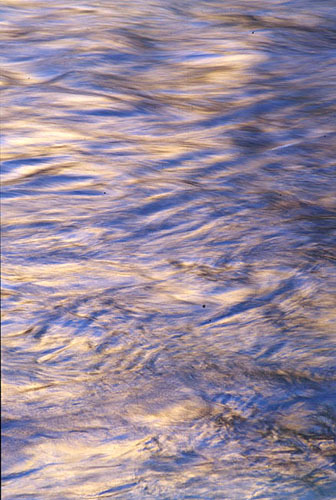 Flowing water on Tuolumne River. 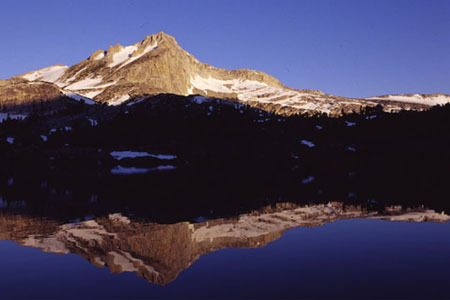 Unicorn Peak and Tuolumne River. 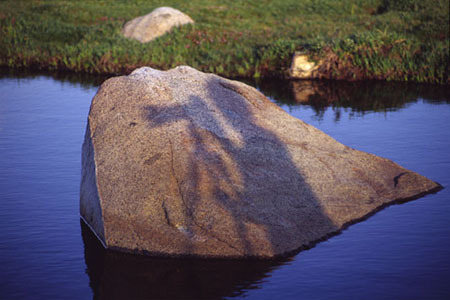 Gaylor Lakes (and Carroll's shadow). 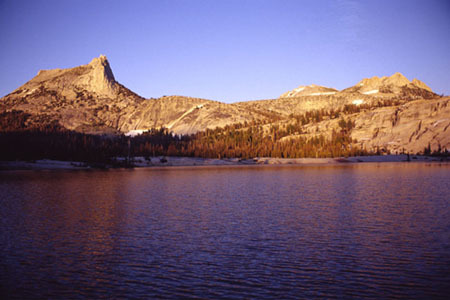 Sunset over Gaylor Lakes with a view of Cathedral Peak. 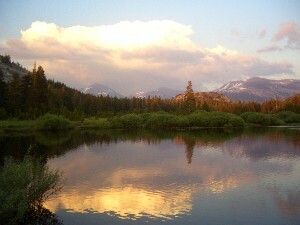 Sunset reflections of clouds in Tuolumne Meadows. 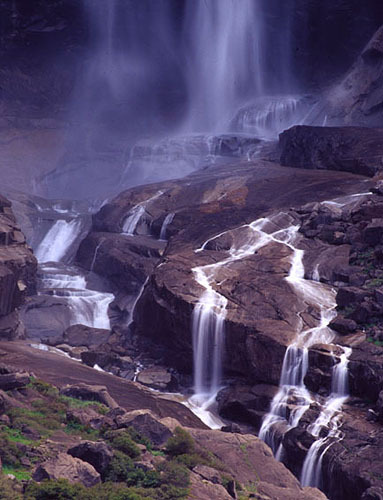 The Mist Trail living up to its name near the base of Vernal Fall. 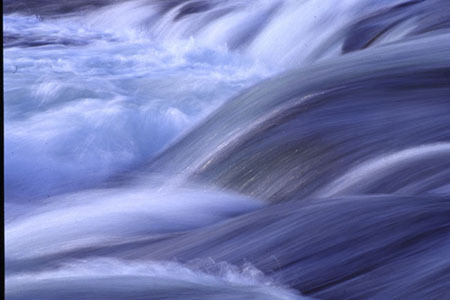 Flowing water on the Merced River. 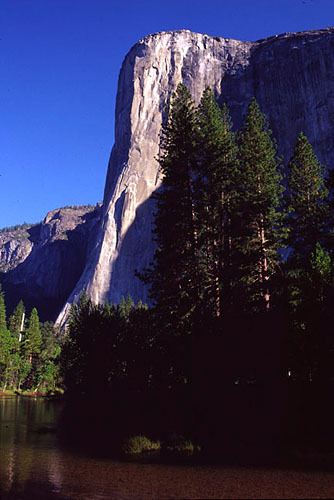 El Capitan, Cathedral Rocks and the Merced river. 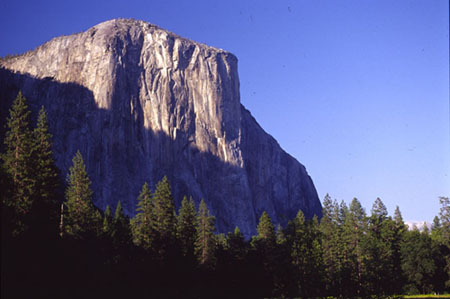 El Capitan from Cathedral Beach. 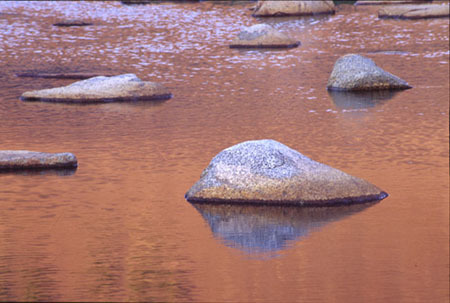 Reflections in the Merced river. 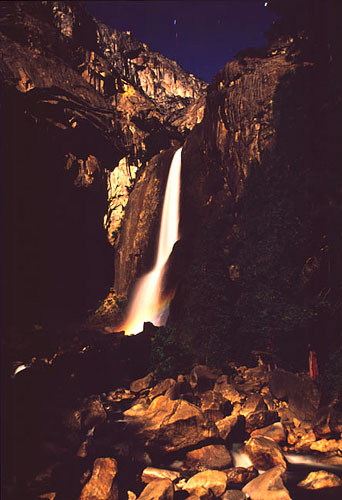 A view of the Lower Yosemite Falls with a lunar rainbow. 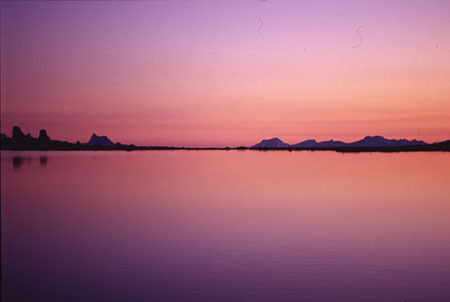 This image was taken at approximatly midnight with the scene solely lit by the full Moon. 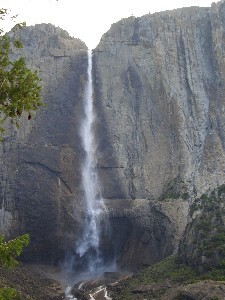 The base of the Upper Yosemite Falls. 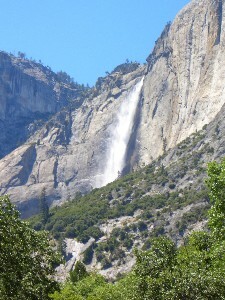 A view of the base of the Upper Yosemite Falls from our hotel room at the Ahwahnee Resort. 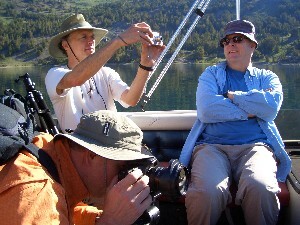 Below you will find an overview of what we did on the course, followed by a few photos of the group. 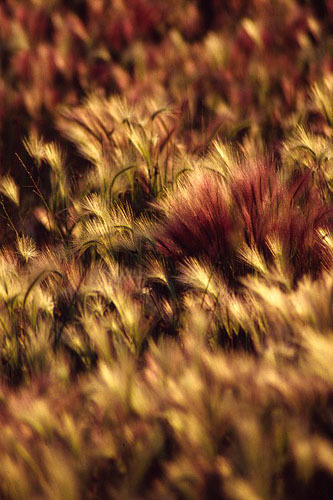 A morning session in the class room meeting up with everyone. 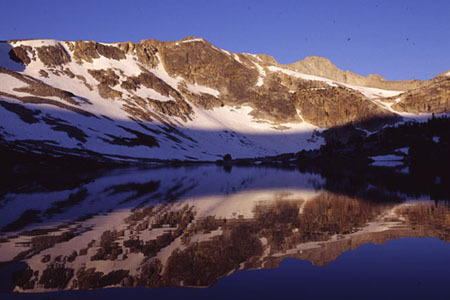 An evening hike to Cathedral Lakes (with a view of Cathedral Peak). 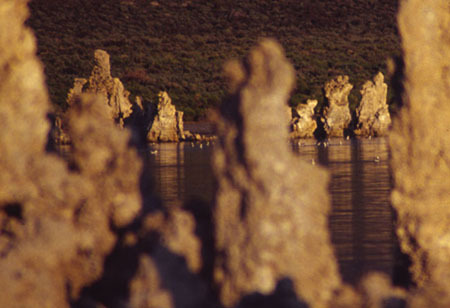 A morning hike to Mono Lake (and the Tufa towers), followed by a classroom session. 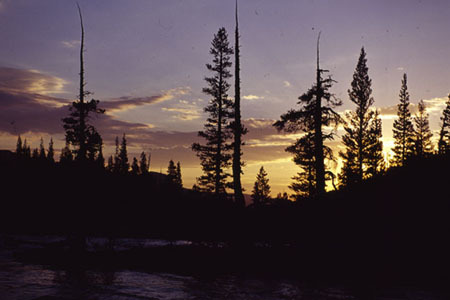 An evening hike to Murphy Creek (and an encounter with a bear). A morning session in the classroom. 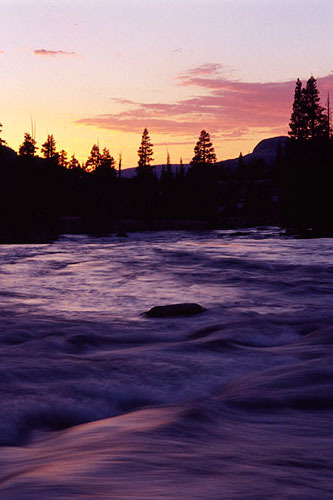 An evening hike to the Tuolumne River (with a view of Unicorn Peak). 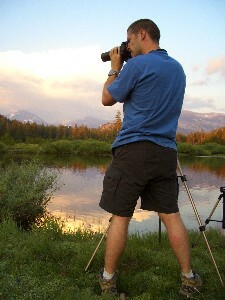 A morning hike to Greenstone Lake (near Saddlebag Lake) followed by a short classroom session on Photoshop Pro. 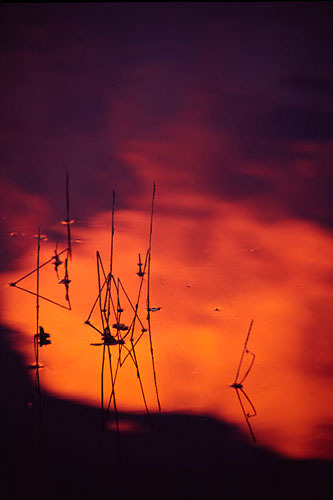 An evening hike to Gaylor Lakes. 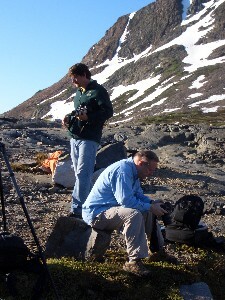 A morning session in the classroom to wrap-up (including a review of the week's digital photos). 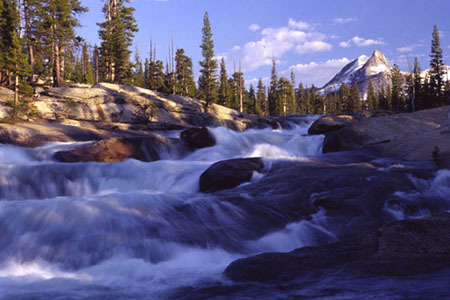 An early evening meal at the Mono Inn followed by a session in the Tuolumne Meadows (next to the road). 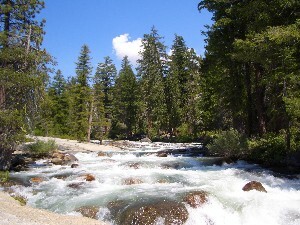 14th of July – Our second day on the course and an evening hike to Murphy Creek. 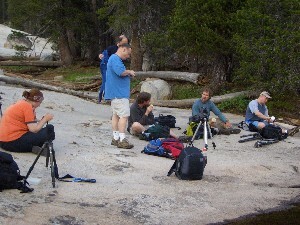 Some of our group taking a break after the session – from left to right, Sara, Bob, Bill, Michael, Carroll and Matt. 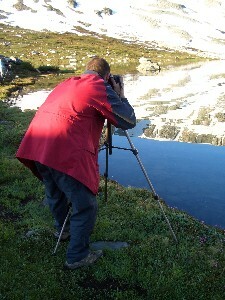 16th of July – Me on the edge of Greenstone Lake after an early morning hike – we left Murphy's Hotel just after 4:00am that morning and after a half hour drive and an hour and a half hike we arrived in time for sunrise. 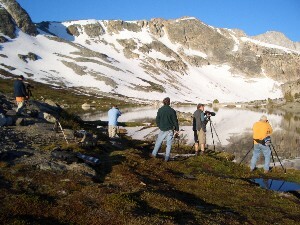 John, Bill, Michael, Carroll and Matt around Greenstone Lake. 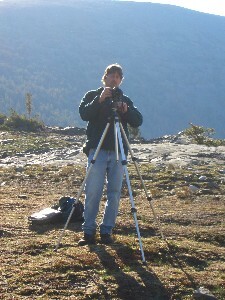 Michael taking a group photo. 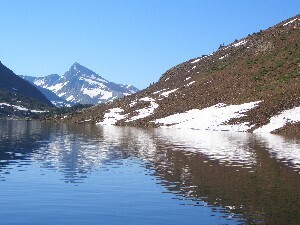 On our return from Greenstone lake, we spotted a small ferry boat taking fishermen across Saddlebag Lake... a $6 ferry ride was a small price to pay to cut an hour off our return hike! 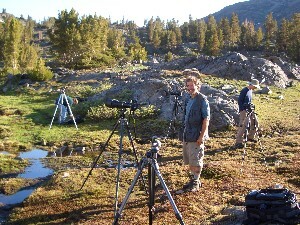 John, Bob and Bill on our return. 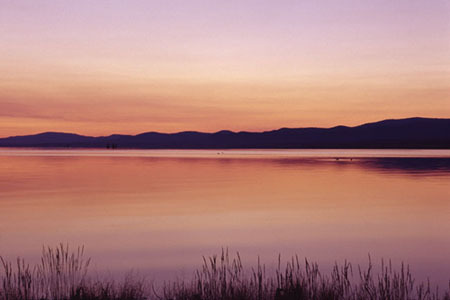 17th of July - Tammay and I decided to visit the town of Bodie, 30mins drive outside Lee Vining. 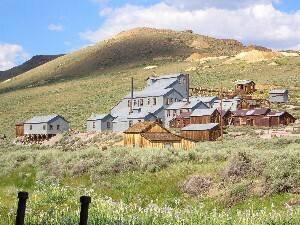 Bodie was a gold-rush town that saw its heyday in the 1880's. 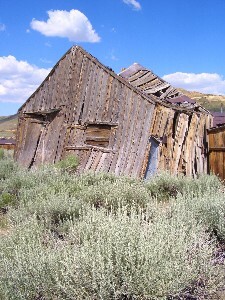 From 1900, Bodie fell into decline with a number of fires that eventually destroyed 95% of the town's buildings. 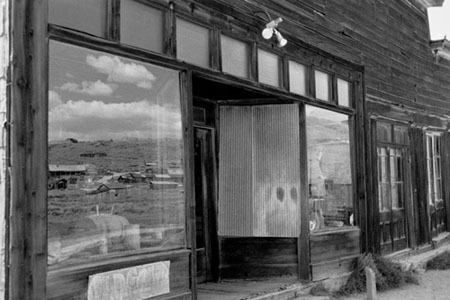 Bodie became a State Historic Park in 1962. 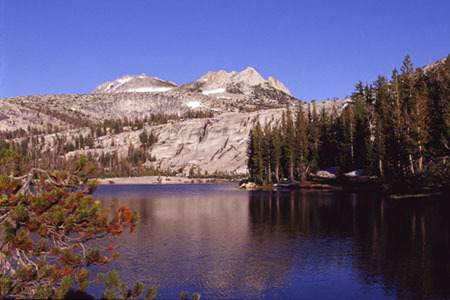 Some of the remaining buildings. 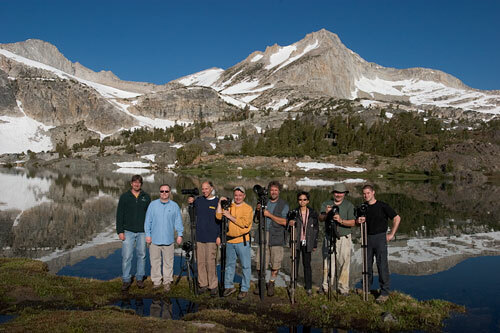 17th of July – Our final evening of photography classes in Tuolumne Meadows. 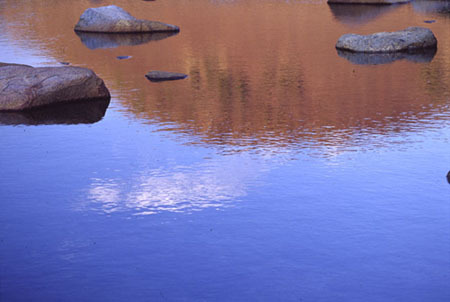 Reflections in a lake on Tuolumne Meadows. 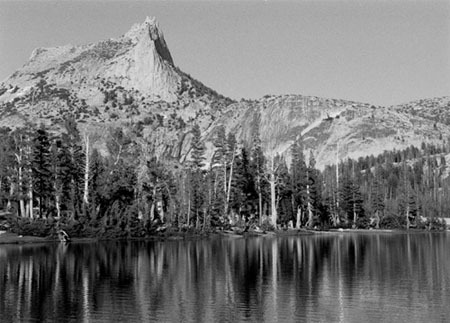 Following sunset and a loss of light, Tammay and I headed further along the Tioga Pass Road and into Yosemite Valley for the first time. 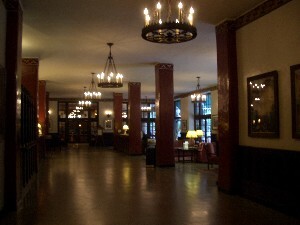 We checked into The Ahwahnee late that evening. 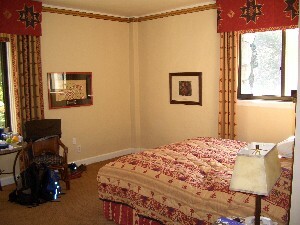 Our room at the Ahwahnee Resort in the Yosemite Valley. 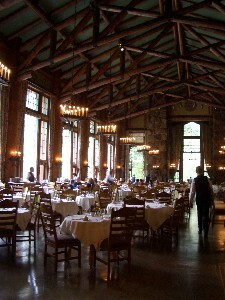 The dining room at The Ahwahnee Hotel. 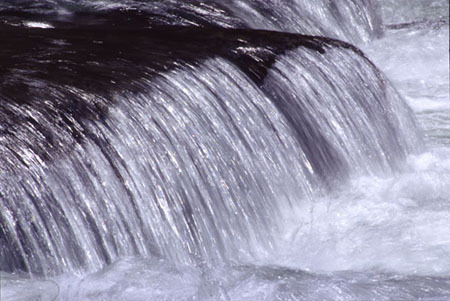 18th of July – Our first day in "The Valley". 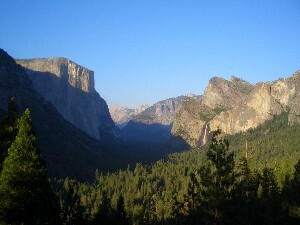 Following a conversation with a waiter at breakfast we decided to hike the Mist trail from the valley floor to Vernal Fall and further up to Nevada Fall, then take the John Muir Trail passed Clark Point back to the valley as detailed in Michael Frye's book "The Photographer's Guide to Yosemite". 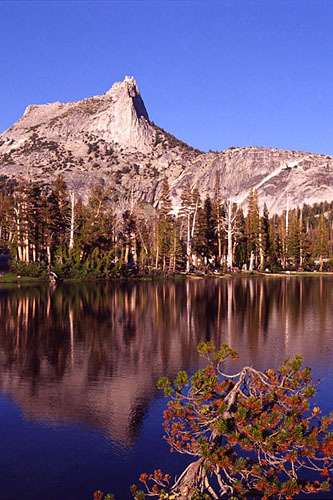 Even though the book states that the hike is 5.9 miles long with a 1900 foot elevation gain, we believed the waiter when he said it should take a couple of hours. 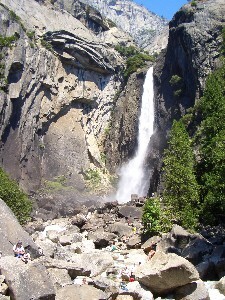 Needless to say it actually took 6.5 hours (including time spent taking photos) and we ran out of water before we got to the top of the Nevada Fall! 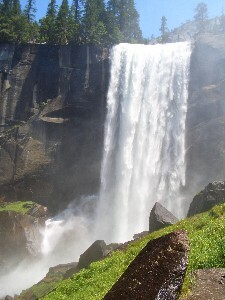 The Vernal Fall from the Mist Trail. 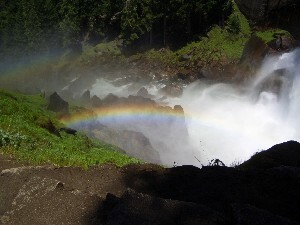 A rainbow at the base of the Vernal Fall. 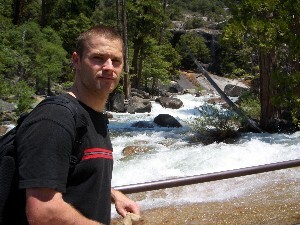 Me and the Merced River above Vernal Fall. 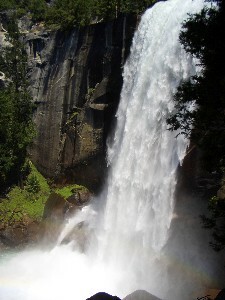 A view of Nevada Fall from the Mist Trail. 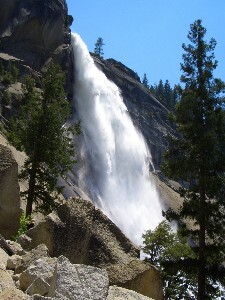 The white water above Nevada Fall. 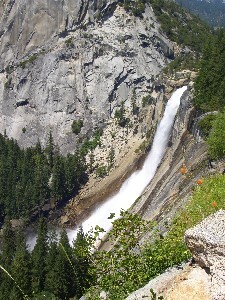 A spectacular view of Nevada Fall from the John Muir Trail. 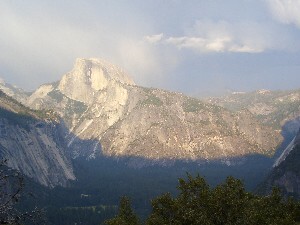 A view of Yosemite Valley from Tunnel View just before sunset on the 18th of July. 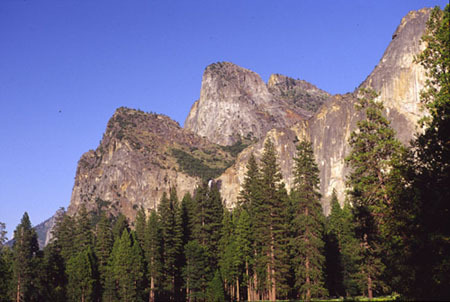 El Capitan on the left, Cathedral Rocks and Bridalveil Fall on the right. 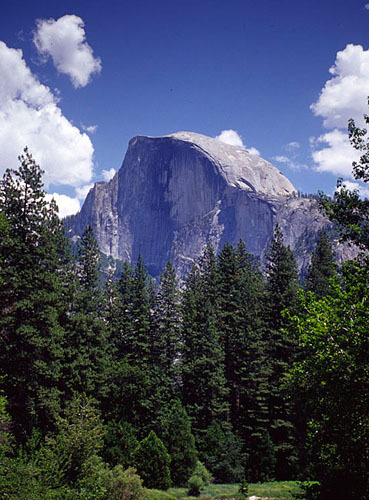 Half Dome can just be seen at the centre of the frame. 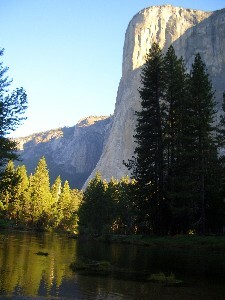 El Capitan and the Merced River at sunrise on the 19th of July, from Cathedral Beach. 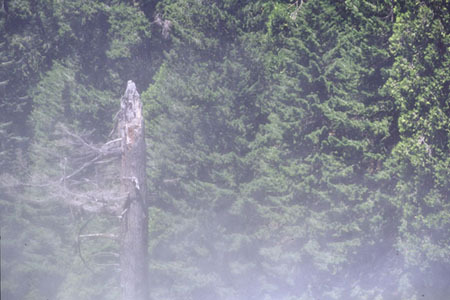 While on Cathedral Beach that morning we bumped into Carroll. 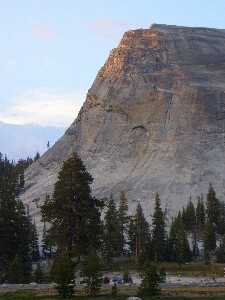 Half Dome as seen from Cook's Meadow. 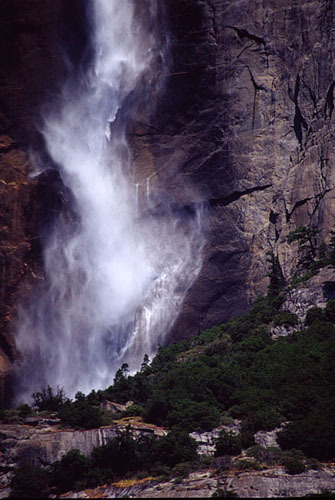 Bridalveil Fall and the Leaning Tower. 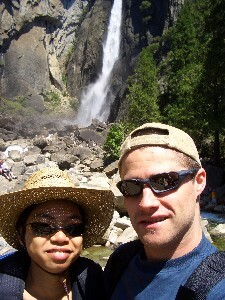 Tammay and myself at the base of the Lower Yosemite Fall on the morning of the 20th of July. 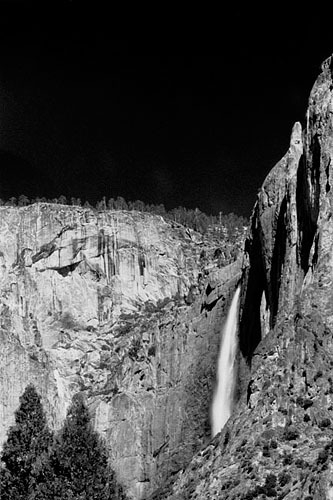 The vast number of people present contrasted with that of the previous evening when we had photographed the Fall by Moon light (we were even able to see a rainbow created by the spray in the full-moon light). 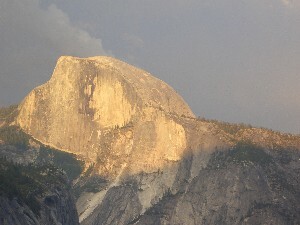 Half Dome as seen from Columbia Point on the Yosemite Falls Trail. 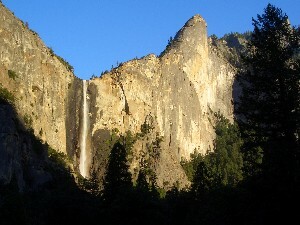 Upper Yosemite Fall as seen from the Yosemite Falls Trail, just passed Columbia Point. 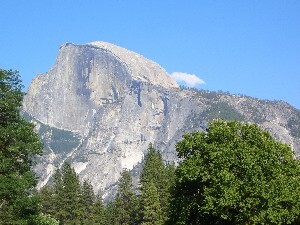 Half Dome as seen from the Yosemite Falls Trail, just passed Columbia Point..
Thursday the 21st of July 2005, we head back to San Francisco for our journey home. We took a 16:30 flight out of San Francisco, back to Heathrow.